In the same vein as the Pandora thread(s) by @wdwmagic, I felt it is high time for a dedicated construction thread for the Disneyland Star Wars Project. This thread is NOT meant to discuss whether Star Wars has a place in Disneyland, the impact on ROA, your thoughts on the announcement or your opinions of the movie(s). 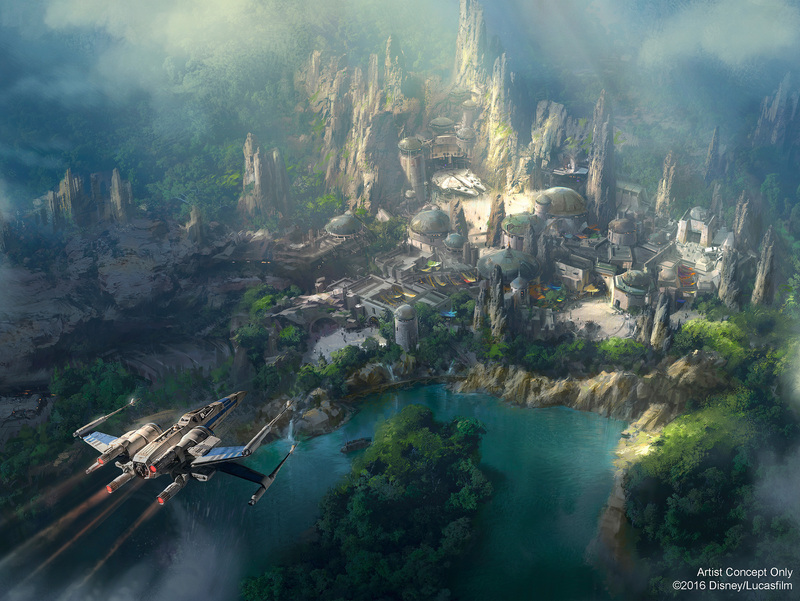 Please instead see Star Wars themed land announced for Disneyland and Rivers of America concept art Revealed for excellent ongoing discussion of those topics. Construction photos, concept art, specific details regarding the contents of the expansion, aerials and generalized speculation about the above are all appropriate. Please see the WDW Magic's updated Star Wars Land news section for concept art related to both Disneyland and DHS. Specifics pertaining to the current layout and contents of the land are available in this excellent MiceAge Article. Thread renamed to reflect changes from D23. New Photos from MintCrocodile show the significant clearing progress in the last two months. 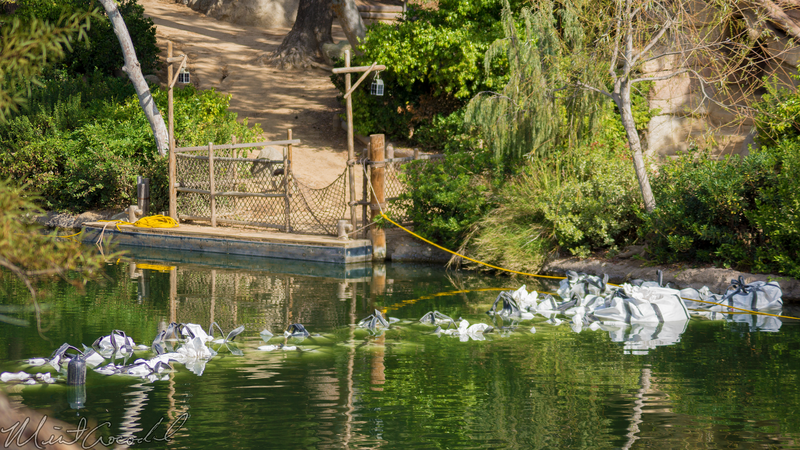 The old Big Thunder Ranch is no more. Thanks for starting this thread! Seeing these pics make me very excited! Great idea for a thread. We are going to be tracking this over at the EndorExpress.net too. Has there been any talk with what they are going to do with Star Tours in DL? Yes, glad you asked so we tackle this recurrent question on the first page! Insider gossip (@WDW1974, @GiveMeTheMusic) says nothing will happen to Star Tours at DL on a medium term basis (next 7-10 years). Star Tours will continue to operate in a similar or modified form as it does today for the early life of the Star Wars Land. Likely there will be continued changes and it will probably be the main attraction they use to cross-promote the new movies, with new destinations added as new films come along. There has been much speculation that it cannot co-exist outside of the main Star Wars area, but this is not the current concern in the halls of WDI. Eventually it could get replaced, but that likely will occur with a Tomorrowland redo - and that is currently lower on the priority list. Current plans still call for Fantasyland being next in line for a major expansion, because it is a higher revenue land. There are also significant opportunities to make money off proper Frozen offerings and likely a Be our Guest restaurant. 1. Marvel is slated for DCA as the next project that could very well open still for 2019/2020 if Bob Weiss gets WDI in order. This would cause the exact same argument that an IP attraction exists outside of its dedicated land. 2. The Iron Man attraction is designed specifically and takes place in Hong Kong Disneyland and Hong Kong harbour. It would require a complete retool ($$$) to fit Disneyland. Money better spent on other projects in need. 3. Star Tours is still a popular attraction, has been recently re-tooled and will be kept afloat by the 'free' cross-marketing money the studios are willing to fork out to help promote their upcoming Star Wars films. 4. There is a significant amount of tension with WDI and HKDL as park management has taken a back seat to SDL as they fail to deliver second park plans. Iron Man has a 5 year exclusive deal and there is probably little desire to immediately clone it and continue to ruffle feathers. The absolute earliest it can be cloned is summer 2021. Thanks for starting this. Super keen for any snippets of news. Hmmmm... that view from the lift hill is a pretty good one, but in order for me to see it, I'd have to take my eyes off the goat!! Grrr, such choices!!! A reason to ride twice. Can't wait to see a thread like this for the Hollywood Studios construction in the future. Really appreciate you starting this thread. Thank you! In this photo it looks like the land will extend farther east than is shown in the armchair schematics in the original post. 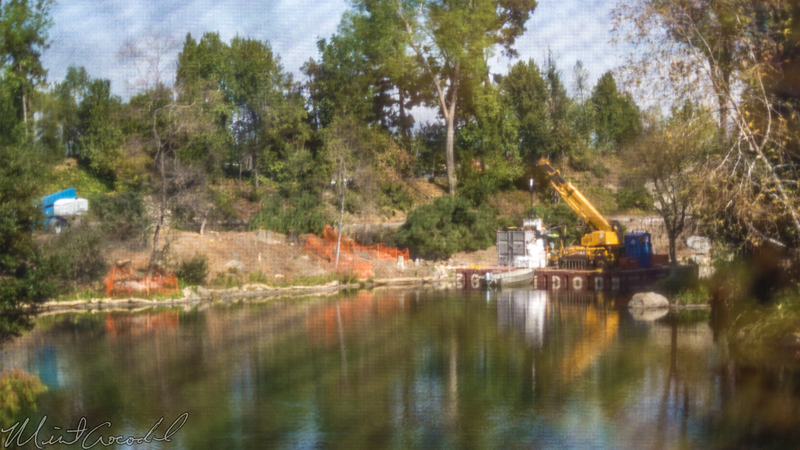 Look carefully; the construction area appears to extend all the way to the edge of Toontown. That view from Thunder is shocking. It kinda reminds me of how that area (I believe?) of Disneyland looked back in the 50s. I too noticed that they have also cleared the expansion pad, I'm not sure if I read too much into that beyond using it for construction staging (seems the most likely). The buildings in the foreground still need to be cleared and so far backstage facilities to the right of these pictures need to go as well. I assume those are still standing as no one has really focused on them. Seems like the are clearing the berm in a counter-clockwise fashion. My bet is the first vertical steel will be for the show building that houses the Millenium Falcon ride itself, the queue show building will have to wait on the berm being completely removed. Wow, what a great idea for a thread, and it's already filled with shocking construction photos. Thanks @BrianLo for kicking this off. That Big Thunder photo from the lift hill is the most shocking; they've really done a lot of work on removing trees the last two weeks. It's really happening. 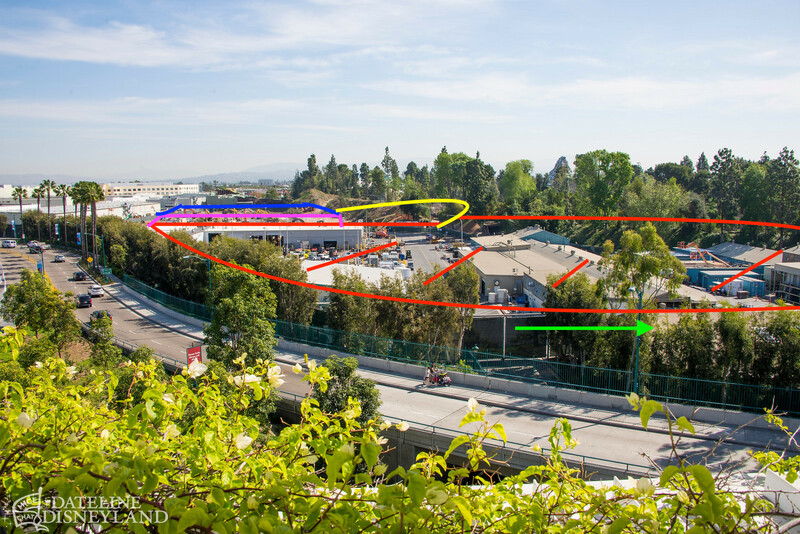 The MiceAge reports from January said a large expansion pad would remain next to Toontown. They don't note it in the first map because they are just showing the Star Wars footprint. 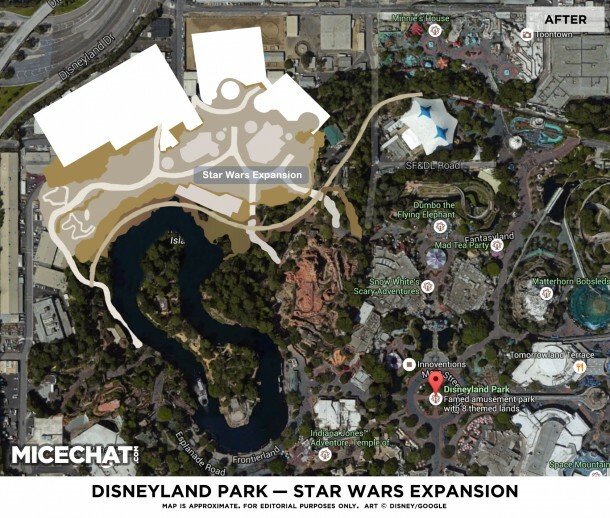 But in their slider map, the second map shown above using the official park map, the "Future Expansion" area is shown to go right up against Toontown. The MiceAge reports from January said a large expansion pad would remain next to Toontown. 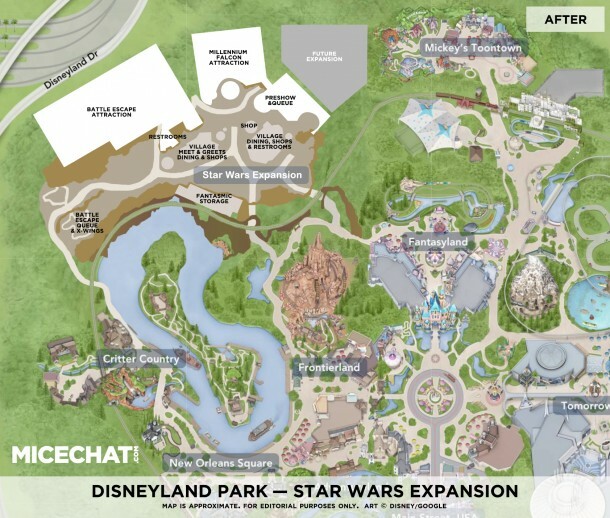 They don't note it in the first map because they are just showing the Star Wars footprint. Got it, thanks! I had forgotten about the expansion space. Two outrageously crude drawings (not properly to scale, just so people have an idea) to show just how much backstage clearing still has to go. MintCrocodiles photos of the plot were quite zoomed in from the parking garage. Today's Dateline Disneyland show the things I was saying were out of frame. 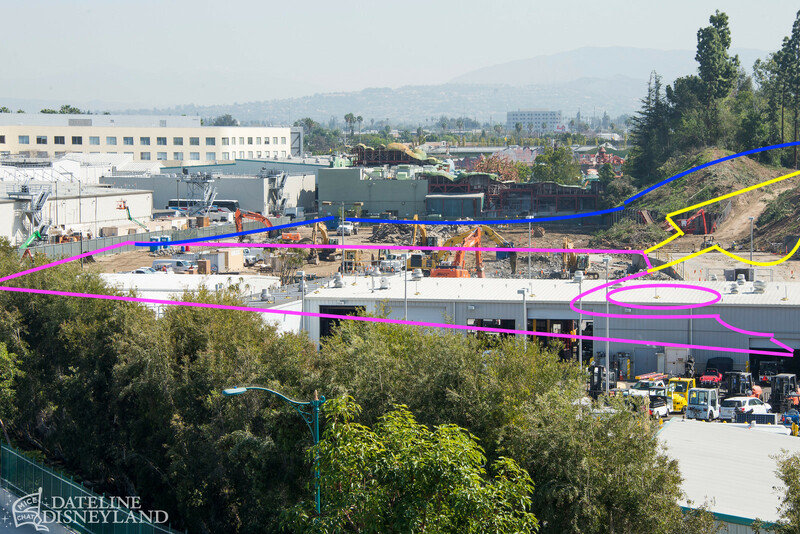 Pink is very crudely where the Millennium Falcon show building will be, yellow where the queue show building will occur. Blue above that is part of the expansion plot. (Note the Millennium Falcon building starts right where the still standing building ends, so it's best just to "look through it" to get a rough idea. Red is everything that still has to go (including the berm)! Of course zoomed out it artificially makes the cleared section look much smaller in proportion, but still an outrageous amount of things to clear. The green arrow is the only building that seems like it will stay.